Vesta Victoria was born Victoria Lawrence in Leeds in 1873 but made her name singing as a cockney. Her parents were both music hall performers with her father’s speciality advertised as singing while standing on his head. She appeared on the stage in London when she was around about ten years old and never looked back. 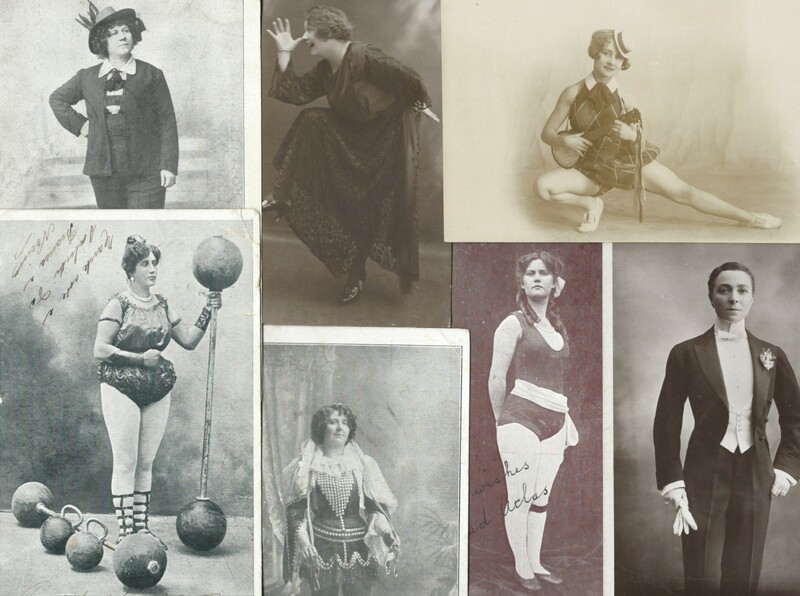 I have a cigarette card from a series entitled Music Hall Artistes where she is described as the Queen of Low Comedy. It also says she had no hard times but on further investigation this seems not to be true. Her professional life was successful but sometimes she needed to fight for her rights. In 1914 she brought a case against Moss Empires for damages for alleged breach of contract stating that she had lost £4470 as she had been prevented from fulfilling engagements. Moss Empires claimed she had broken her contract by refusing to attend rehearsals. 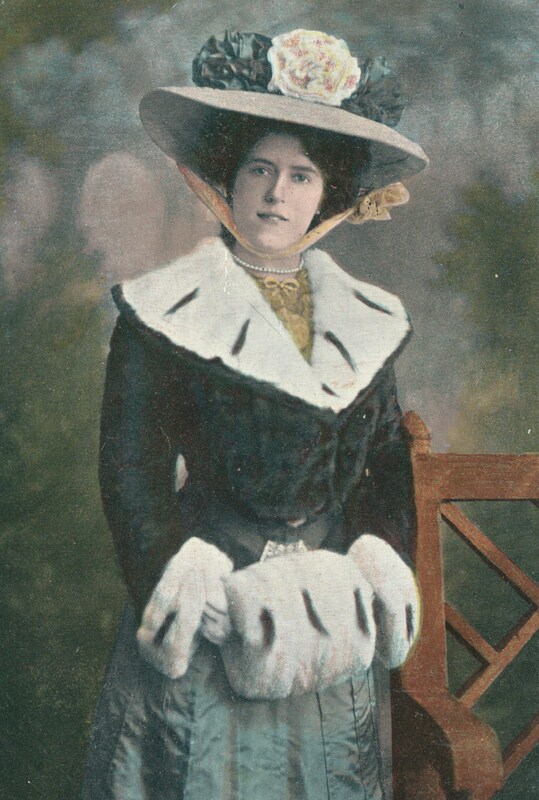 On December 8th 1913 Vesta turned up at the music hall for the evening performance but was told she could not go on as she hadn’t attended a rehearsal. She said she didn’t need to rehearse but was told that the band did. A witness for the defence said rehearsals were needed as ‘music hall artistes were the most unbusinesslike people that ever were.’ This caused much merriment in the court. Vesta Victoria was eventually awarded damages of £3260 by the jury. The performer who took her place, Miss Veronica Brady, was paid £30 for the week. Vesta had a huge hit both here and in America with the song Daddy Wouldn’t Buy Me a Bow-Wow in the early 1890s and she became so popular in the States on later visits that she had a street named after her in San Francisco. Another enormous success for her was the song Waiting at the Church which had Vesta jilted at the altar by her young man who told her in a note ‘can’t get away to marry you today, my wife won’t let me.’ The audience loved to join in with a good chorus. Despite her popularity on the halls Vesta Victoria’s personal life was not so successful. The details were in the newspapers for all to see. In 1903 she was granted a divorce from her first husband who had subjected her to mental and physical abuse. It started on the day they were married with her husband claiming to have received an anonymous letter which stated she had had at least six children and was not chaste. This led to Vesta being examined by a doctor who cleared her of this charge. Her husband would not accept that he was the father of their child and said she was an immoral woman. She was in such a poor state of health that she had attacks of crying and sometimes had to give up her engagements. The following year Vesta was arrested in in New York and taken before the magistrate charged with wearing a ballet skirt at a sacred concert. The city ordinance stated that vocalists should not wear fancy costumes or dance a jig when appearing at a presumably sacred concert. After she sang the chorus of a song at the magistrate’s request the case was dismissed with the singer saying that her poor dear mother in England would be perfectly barmy when she heard of the arrest. Before leaving the courthouse she gave money to a woman who was bringing a case against her husband for abuse. Then in July 1915 there is an account of a court case brought by Mrs M. Terry who summoned her husband for desertion. Vesta Victoria was subpoenaed to appear but refused to answer any questions. Mr Terry became Vesta’s manager in 1912 and left his wife, who was to receive support of £3 a week. He paid it for about a year but then went to America and it was alleged he entered into a bigamous marriage with Vesta Victoria. He later wanted to get back with his wife and wrote ‘The woman who has brought about our downfall has crushed me. I admit I committed a bigamous marriage in America and this woman has a copy of the marriage certificate in her safe. I will help you to be revenged on this woman who has ruined our lives so terribly.’ Mr Terry was from a famous acting family and he seems to have put his skills to good use. Vesta refused to produce the marriage certificate and would not say whether she had lived with Mr Terry and had a child by him. Mr Terry was ordered to pay his wife £2 a week and 5 guineas costs.When Mrs Terry died her husband and Vesta Victoria were married and did indeed have a daughter. As with so many music hall performers Vesta spent a lot of her wealth on drink but, unlike many, lived until she was seventy-seven.